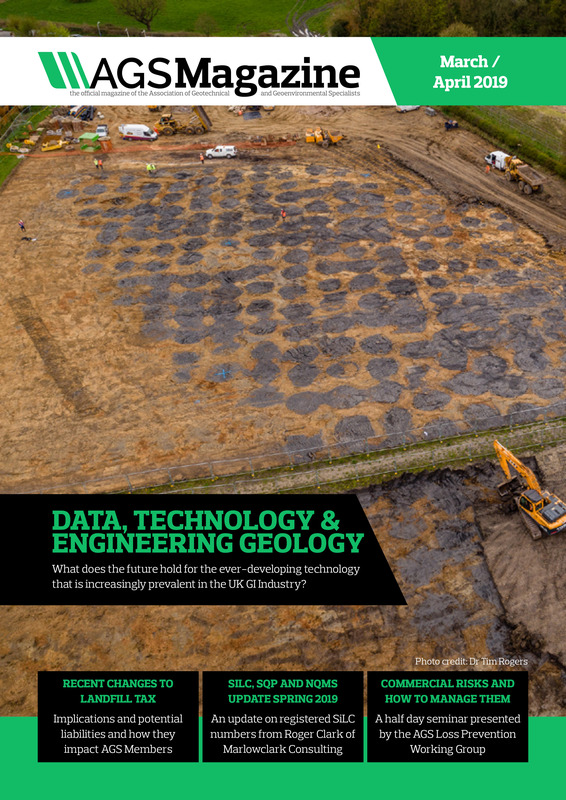 The Association of Geotechnical and Geoenvironmental Specialists are pleased to announce the March / April issue of their publication; AGS Magazine. To view the magazine click HERE. This free, publication focuses on geotechnics, engineering geology and geoenvironmental engineering as well as the work and achievements of the AGS. Advertising opportunities are available within future issues of the publication. To view rates and opportunities please view our media pack by clicking HERE. If you have a news story, article, case study or event which you’d like to tell our editorial team about please email ags@ags.org.uk. Articles should act as opinion pieces and not directly advertise a company. Please note that the publication of editorial and advertising content is subject to the discretion of the editorial board.